One result of the crisis is likely to be an increase in the numbers of those sleeping rough on Russian streets. Clutching two plastic bags full of clothes she had just collected from a charity center in central Moscow, Svetlana Burkutskaya said that rising prices were making it harder for her to find enough money to put food on the table for her three school-age children. "There is not sufficient money for food now," said Burkutskaya, who has twins aged 14 and another child aged 13. "They are on holiday in a week and I don't know what I will feed them." 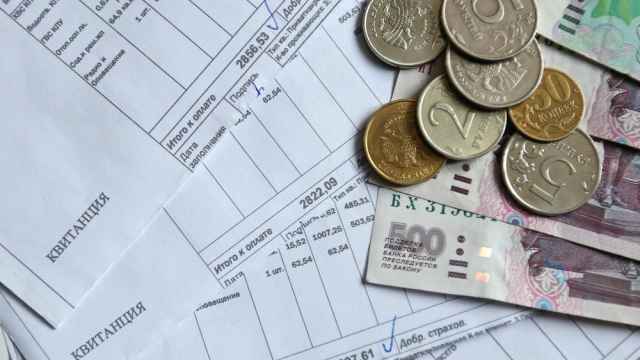 A single parent whose disability diagnosis means she does not work, Burkutskaya, 50, said rising inflation meant she could no longer afford non-essentials, particularly clothes. "When you are alone with all your problems it is very difficult," she said, before hurrying off to collect her three children from school. Burkutskaya is one of millions of ordinary Russians squeezed by an economic crisis that will cause the number of people in poverty to spike for the first time since the 1990s, challenging a narrative of rising prosperity that has been a hallmark of President Vladimir Putin's 15-year rule. Some experts predict that almost 10 million people — from a population of 143 million — could this year join the 16.1 million people already living below the poverty line. Inside the charity center, single mothers rummaged through piles of second-hand clothes in a cramped room by the entrance to a police station on the ground floor of an apartment block. "They are all extra large, the dressing gowns were donated by the local hotel," Alla Zaripova, the manager of the center, called out across the room as one woman picked up a white flannel garment. All the women, most of them regulars, who spoke to a Moscow Times reporter said that inflation — now peaking at levels not seen since 2002 — had made their lives harder. "Everything has changed, everything is twice as expensive, both food and clothes," said Alina Andreyevna, who has four children in their teens and early twenties. Despite popular preconceptions of inner Moscow as a playground for the rich and powerful, the director of the Taganka Children's Fund that runs the center, Tatyana Troitskaya, said aging residential buildings in former urban industrial zones still house many people eking out a subsistence existence. Material help is the most popular resource they offer, according to Troitskaya. The charity, which was set up in the early 1990s and only operates in Moscow, has more than 700 families on its books. A World Bank report on the Russian economy published on April 1 highlighted poverty as one of the key consequences of a crisis caused by falling oil prices and Western sanctions over the Ukraine crisis. The Russian economy is expected to contract by up to 5 percent this year. Growing penury was a "worrisome trend," Birgit Hansl, the World Bank's Russia economist told reporters during the report's presentation in Moscow. The number of people living below the official poverty line — measured last year as those with monthly incomes less than 8,234 rubles ($145) — ticked up by about 600,000 people in 2014 to reach 11.2 percent of Russians, according to state statistics service Rosstat. The World Bank predicts the poverty rate could reach 14.2 percent in 2015. But one poverty expert, who requested anonymity out of a fear of being seen to paint too grim a picture, said it could go as high as 18 percent, meaning about 9.7 million people will cross into poverty by the end of the year. The sharp jump is all the more significant as it comes after 15 years of rising living standards: The poverty rate dropped from 29 percent in 2000 to 10.7 percent in 2012. "For many vulnerable people a crisis can destroy their lives," said Maria Sedushkina, general coordinator at samusocialMoskva, a charity supporting the homeless in the Russian capital. There are currently up to 12,000 homeless people in Moscow and this number is likely to creep upward in the coming months as economic problems grow, according to Sedushkina. "The main inflow of homeless are former workers from regions where there is no work — they go to big towns where they have no social connections and lose their jobs. 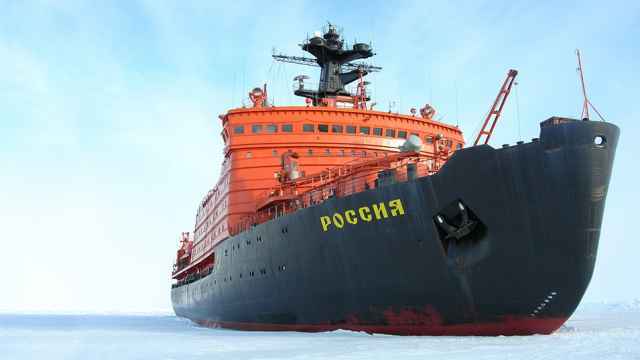 Without a roof over their heads they sleep in a station, then a second night, on the third night they meet someone, have a drink and then they are well on their way," Sedushkina said. While Russia's poverty levels are comparable with some Western nations, the country has more people with no savings, no property and little education. About 50 percent of the population is in this danger zone, according to experts. Falling real incomes, rising prices, salary cuts and growing unemployment in times of economic crisis can very quickly push people over the edge. Food price rises triggered by ruble devaluation and the Kremlin's August food embargo on countries that sanctioned it over the Ukraine crisis have been felt most severely by Russia's poorest, who are estimated to spend 50 percent to 60 percent of their income on food. Meat, fish and vegetables are among the goods that have seen steep price rises. Cabbage prices alone have risen over 60 percent since the start of the year, according to Agricultural Ministry data. Spiraling medicine prices are also felt hardest by the country's poorest. "Because of the crisis people can fall into poverty very quickly," said Sergei Zhidkikh, the acting head of Oxfam in Russia in a recent interview. "Russian people are vulnerable to poverty." While the official poverty rate is currently 11.2 percent, experts said that other measures of poverty put the level much higher. The subsistence minimum used by official bodies to effectively reallocate resources represents the supposed cost of meeting essential physical and cultural needs. Taking into account inflation, it is defined on a quarterly basis. Other measures, which look at relative rather than absolute poverty, reveal the extent of deprivation and social exclusion. Up to one third of Russians may be in poverty according to definitions that look at individual income compared to a median income. Experts also flag the problem of inequality, which could be more socially explosive than that of rising poverty. With wealth and power concentrated in Moscow, the majority of Russia's regions have a higher poverty rate than the national average. "The inequality between the regions in Russia is one of the most extreme in the world," according to Oxfam's Zhidkikh. 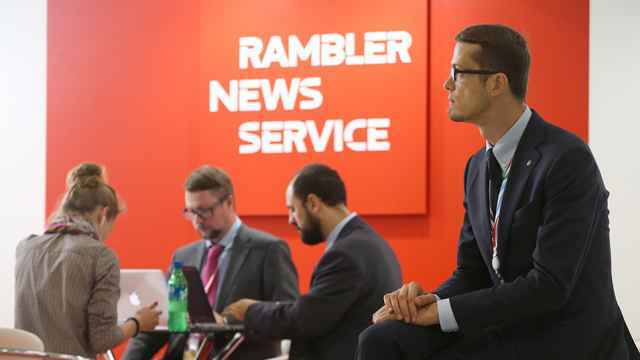 "If you measure average income in Moscow and the [southern] republic of Kalmykia it's like comparing quality of life in Norway and Iraq," he said. Low oil prices, an economic contraction and reduced international currency reserves are set to limit the financial options available to the Russian government to take anti-poverty measures. 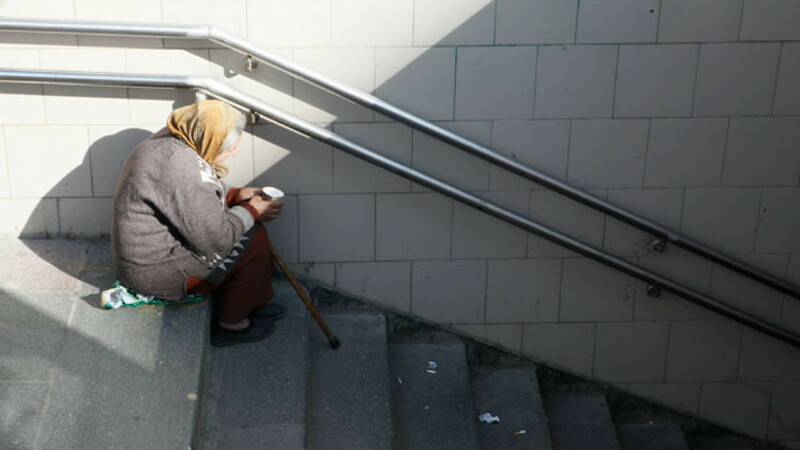 Much of Russia's lower-income groups are made up of pensioners and state employees, particularly in the low-paying health and education sectors, and government spending is key to their economic fortunes. "Public wages will not be indexed this year, and pensions, social benefits and other transfers will decrease in real terms because their indexation is based on 2014 inflation," the World Bank wrote in its recent report. Back at the clothing distribution point in Moscow, Yevgeniya Koltsova, 31, was holding bags of clothes she had just gathered for her five children aged 11, 9, 6, 4 and 2. "Without the help of the fund things would be very difficult," she said. "I try not to show the children that we are under pressure."